Most of us can't wait until Memorial Day weekend at end of May because it marks the start of summer. Whether your idea of a dream vacation is relaxing on a beach by the sea or mountain biking through a national park, longer days and warm weather make it easy to have fun outdoors. 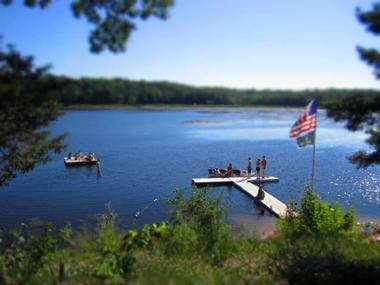 With a rich history that dates back to 1925, Camp Wandawega is a unique guest camp on the shores of Lake Wandawega in Wisconsin. The property offers a rustic camp experience and a true escape from the hustle and bustle of daily life. Choose from a variety of accommodation, ranging from vintage cabins, bunkhouses and bungalows to treehouses, teepees and tents, all of which are simply furnished with the bare essentials, inviting you to let go and re-connect with nature. There is a private beach, fishing pier, boating, canoeing, biking, fishing, hiking, tennis and shuffleboard. Outdoor grills and barbeques are available around the resort for cookouts under the stars. Cabins start at $650 per night for 6 guests. Nestled at the foot of the towering Bitterroot Mountains, the newly renovated Wallace Inn is a contemporary mountain retreat in the heart of North Idaho’s spectacular Silver Valley. Surrounded by breath-taking natural beauty, dense forested slopes, and endless blue skies, this modern hotel is the perfect place to recharge over a long weekend. Fifty-nine well-appointed guest rooms and four luxurious suites are spacious and bright, with modern décor and an array of deluxe amenities, including individual climate control, cable TV, and an in-room coffee service. 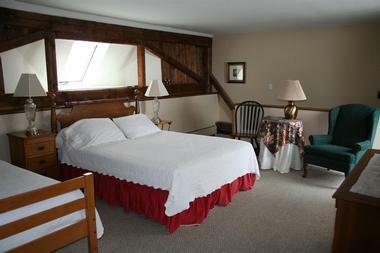 All rooms have beautiful mountain views and there is complimentary wireless Internet throughout the hotel. The indoor pool has a skylight through which you can enjoy the view while going for a swim. Facilities include a sauna, steam room and a fitness room. Molly’s at the Inn serves delicious farm-fresh fare throughout the day in a sunny setting, where cozy booths and lovely mountain views add a special touch to your meal. The quiet ambiance of O’Rourke’s Lounge is ideal for relaxing over a nightcap and chatting with fellow guests. Rooms start at $84 per night. Exuding a wonderful historic charm that is echoed in the surrounding town of Asheville, WhiteGate Inn & Cottage is an award-winning bed and breakfast that offers a romantic escape from the hustle and bustle of city life. Eleven beautifully appointed rooms and suites are individually decorated with rich, luxurious furnishings, modern amenities, and offer wonderful garden views. Named after famous poets, each room boasts volumes of poetry by the same author and lavish bathrooms with Jacuzzi tubs. Cozy fireplaces set into stone walls create warm and welcoming ambiance and separate entrances to some of the guest rooms add an element of privacy. Pampering spa and salon treatments are available in the comfort of your suite, where you can relax under the expert touch of a trained masseuse, as well as a fully equipped exercise room where you can work out. Curl up next to the fire in the parlor against a backdrop of live piano music or relax in the solarium and soak up the beautiful views. Stroll through the award-winning gardens, which are home to an extensive collection of unique flora. Rooms start at $209 per night. Nestled amongs the rolling hills of the Willamette Valley, Wine Country Farm Bed & Breakfast is a charming getaway in the heart of Oregon’s wine country. With sweeping views of the Cascade Mountains, the farm is a working estate growing grapes and raising Arabian horses. Nine comfortably furnished suites are warm and welcoming with plush carpets, down duvets, cozy fireplaces and colorful décor. Some rooms have private decks and balconies with beautiful valley views, while the exclusive Seal Rock Beach House is ideal for families looking for additional privacy. Wine Country Inn is all about relaxation - soak in a hot tub, hike through the vineyards, taste some of the farm’s own vintages and snuggle up next to the fireplace with a book. Outdoor enthusiasts can go on horseback riding tours through the estate, spectacular forest hikes, and picnics surrounded by the vineyards. Rooms start at $150 per night. Casa Madrona is one of San Francisco’s timeless and beloved icons with a 125 history. Perched on a hillside overlooking the bay in the charming town of Sausalito, this luxurious boutique hotel seamlessly blends style and innovation to offer a luxurious escape. Unparalleled grandeur is reflected in Casa Madrona’s signature 11-roomed residence, The Mansion. Built in 1885, the exquisite Victorian estate has been redesigned to create a private, ethereal ambiance with spectacular panoramic views. The hotel also offers apartment-style accommodation in the Hillside Suites, complete with modern amenities and overlooking Richardson Bay. Welcoming hospitality and outstanding service greets you on arrival at this luxurious hotel. Guests have access to a private spa and steam room, a swimming pool and a range of services including daily newspapers, porter assistance, and 24-hour room service. Classic Italian fare is served at Poggio Trattoria next door to the hotel. Rooms start at $271 per night. Overlooking rolling green hills, tree-lined pastures and breathtaking Vermont farm country, the Wildflower Inn is a glorious sanctuary in Vermont's Northeast Kingdom. Once a 100-cow dairy farm, the Wildflower Inn has been lovingly transformed into a quaint, village-like setting with renovated carriage barns, country collectibles, and wonderful countryside views. Twenty-four comfortable guest rooms and suites have been decorated to provide a peaceful countryside ambiance. Rooms do not have televisions; however, there is wireless Internet throughout the retreat. A hearty farmhouse breakfast is served every morning and afternoon snacks are available in the lounge where you can relax in style. The surrounding Northeast Kingdom is a veritable outdoor adventure heaven with a plethora of activities to enjoy year-round, from hiking, mountain biking, swimming and fishing to cross-country skiing, snowshoeing, and sledding. After a busy day outdoors, re-energize with pampering treatments from the Stepping Stone Spa. Rooms start at $177 per night. W Atlanta - Buckhead offers the perfect place for visitors to rest while enjoying fine entertainment, dining, or shopping in the city, all from a convenient location. This hotel offers five different types of rooms: Wonderful Room, Spectacular Room, Fabulous Room, Wow Suite, and E-Wow Suite. Each provides luxurious pillow top mattresses, 350-thread-count sheets, BlissSpa products in the room, an iPod docking station, complete media library, Munchie Box, and a work area. Within the hotel, you will find a spa, which guests are able to access for free as well as the FIT 24/7 fitness center with top-of-the-line equipment for all athletes, ranging from ellipticals and treadmills to free weights and weight machines. The Living Room is open to hotel guests – it’s an excellent place to hang out, read one of the many books, play a board game, and listen to music. Cook Hall serves handcrafted cocktails and beer poured from the vintage taps. You can create a custom drink, share platters or order individually-portioned snacks. Whiskey Blue Atlanta serves lighter fare and signature cocktails. Its hip atmosphere, cutting-edge design, and rooftop location with its own terrace make it a unique experience. Rooms start at $269 per night. The Gasparilla Inn and Club is an elegant, historic golf resort located on Gasparilla Island, about 53 miles from Sarasota. Stately and ornate and built in 1913, this classic upscale resort is a reminder of the “Old Florida” of more elegant times. The resort’s 142 luxury suites and rooms are decorated with vintage pieces, brightly colored and comfortable, and equipped with all modern amenities. 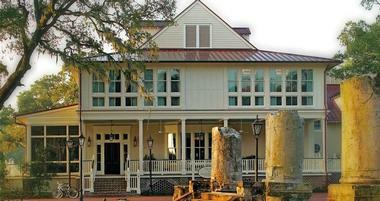 Villas and cottages have screened porches, living areas, and kitchenettes. The guests can enjoy the beach club, private golf club, several tennis courts, a gym, and a spa. There is also a croquet lawn, a bakery, a marina, and an upscale gourmet restaurant called Pink Elephant. Surrounded by rolling green vineyards and fruit-laden orchards with breath-taking views of the West Elk mountains, Canyons and Mesas, Le Roux Creek Inn is a beautiful bed and breakfast tucked away in the heart of Colorado's North Fork Valley. Five tastefully decorated rooms are comfortably furnished with king or queen sized beds, private bathrooms, and bespoke amenities for pure home-away-from-home comfort. Mountain, desert or vineyards views can be enjoyed from each room and a guest refrigerator with complimentary beverages is available. A secluded hot tub promises romantic evenings under the stars, while the spacious deck overlooking landscaped gardens is the perfect breakfast spot. Spend days exploring the vineyards, tasting wine and hiking or biking along the numerous trails in the area. In the evening, sit back and relax by the roaring fire with a glass of a local wine. Rooms start at $195 per night. The Sagamore in the Adirondack Mountains is planning a Chowderfest where you can learn how to make great chowder and eat it too. On Sunday, the hotel is going to host a regatta. Memorial Day rates start at $389 per person for 3 nights.If you are looking for a romantic trip, the Mirror Lake Inn has a 3-day package ($820 per couple). You'll be able to relax and rejuvenate in a natural setting overlooking a lake. Want to get in shape for the upcoming beach season? At La Costa resort in California, you can play golf, relax at the spa, or participate in over 50 daily fitness classes. Click here for more weight loss retreats. Visit the scenic Snoqualmie Falls 30 miles from Seattle, get pampered at the spa and dine in style at the Salish Lodge and Spa. San Ysidro Ranch is a secluded hideaway in Southern California. Shutters on the Beach is set on a sandy beach overlooking the ocean. Relax next to the outdoor pool and with a massage at the spa. Rancho Valencia is a relaxing resort in Rancho Santa Fe, California. Treatments utilize fresh ingredients, pure essential oils, and healing benefits from the sea to relax and rejuvenate. Choose from facials, body therapy, skin care treatments and couples treatments. In addition to the spa, the resort offers tennis, golf and other activities. Guests are accommodated in 49 spacious suites set on 20 landscaped acres. Hyatt Regency Monterey features championship golf and a new 12,000 square foot spa. Dine at the scenic Penthouse restaurant at The Huntley Hotel overlooking the ocean. 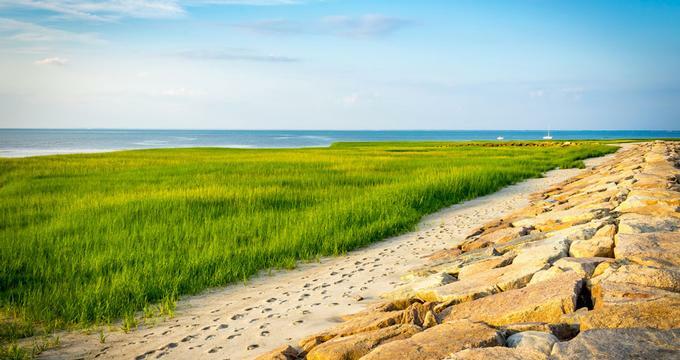 Since the Memorial Day weekend signals the start of the summer, if you want to head straight to the sandy shore, check out one of the packages at The Meridian Club. You can learn to scuba dive, or just relax in the sun. Sandy Lane Resort in Barbados is just a 4.5-hour flight from New York City. The resort has a spa, golf and a variety of watersports. Although airfare prices to Hawaii tend to be steep, there is no better way to greet the summer than with a surfing lesson in Waikiki. Fly to Honolulu and stay at one of the hotels right on the water. Paws Up in Montana offers a wilderness vacation with a luxury twist. Guests can explore 37,000 acres of wilderness by day and return to their luxury home or tent at night. With an average of 422 acres per guest, you can spend your days wildlife watching, hiking, mountain biking and fly fishing surrounded by nature. Guests are accommodated in luxury tents for two with feather beds, electricity, bathrooms with hot water and original art on the walls. And to help ensure that you will not have to rough it, the 'Canvas Concierge' stands by to help you start a fire as well as answer any other requests. Ask about the historic Morris Farm House. Located on the bank of Elk Creek, the farmhouse offers privacy and seclusion. Views of the San Juan Channel, a fireplace and an oversized whirl-bath jetted tub are standard in all of the twenty guest rooms at Friday Harbor House. This small inn is located on a prominent bluff in the quaint town of Friday Harbor on San Juan Island. Eat at the harbor view dining room and enjoy a meal of farm-fresh produce and herbs from the inn's garden. If you plan your trip in the quiet season from October through June 15th and you will enjoy a totally different getaway. The room rates are much lower and the island, although chilly, will be much less crowded. Standard rates start at $150 in the low season from October through June 15th. The Grove Park Inn is a place for anyone looking to relax, play some golf, and a enjoy a wide range of spa treatments. Stay in room with a view of the Blue Ridge Mountains and eat at the Dining Room. If your going to play golf, you might be interested in knowing that all of the golf carts are equipped with a GPS system that will tell you how far your ball is from the hole, the front of the green, and the back of the green. The rooms start at approximately $175 per night for a value room to over $1,000 for a cottage. 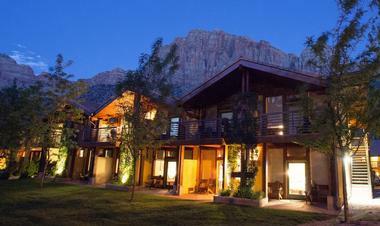 If you are looking for a getaway that will take you closer to nature than El Capitan Canyon is the vacation for you. Step out into the sights and sounds of nature without having to pitch your own tent and sleeping bag. Spend your time nestled in your cabin or hike one of the many nearby trails. Take a sea kayak out from the beach, go on a hiking tour of El Capitan Canyon, and have dinner at the picnic table outside your cabin. Whale watching, guided horseback riding, glider rides, and wine tasting tours can all be arranged, or are offered nearby. Enjoy a picnic lunch or dinner from the El Capitan Canyon Market and Deli. If you feel like it, you can buy a BBQ Kit from the market and cook your own meal over the firepit outside your cabin. There are 100 luxury cedar cabins at El Capitan Canyon they all have full bathrooms, linens, towels, kitchenettes, and firepits. If you are feeling more adventurous, there are also canvas safari tents available which have wooden decks, screened windows and doors as well as hand crafted queen sized beds. However, there are no bathroom facilities in the tents. The bathhouses are located nearby.